In my 8-plus years of blogging, you’d think I would have covered all my baking bases by now. But I recently realized that I’d never shared a peanut butter sandwich cookie with peanut butter frosting. A double dose of peanut butter? Yeah, that needed to be fixed as soon as possible, which leads us to today and these super tasty cookies. The inspiration for these, of course, comes from one of my childhood favorites. Being the peanut butter fan that I am, Nutter Butters were always a no-brainer pick for me. 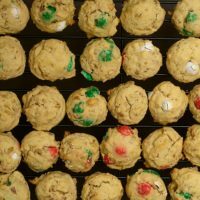 These cookies are reminiscent of those peanut butter-y cookies, but with a bit of a grown-up taste. And I must say they are delicious! I started with what has become my go-to peanut butter cookie recipe. I’ve tweaked it a bit here and there over the years to get it just as I want it, and I think it’s pretty fantastic. Then there’s the frosting. We’re going all-out peanut butter here with a peanut butter cream cheese frosting. I feel pretty confident that those store-bought cookies didn’t have a cream cheese frosting, so I took some liberties there. But seriously, it is so good that I could eat it all by itself with a spoon and call it dessert. But I showed some restraint and dedicated at least the vast majority of the frosting to assembling the cookies. 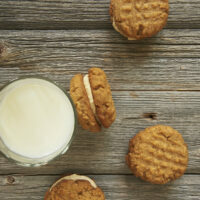 If you’re a fan of peanut butter like I am, you’ll adore these cookies. The cookies themselves are a favorite, but add that frosting and you’ve really got something special! 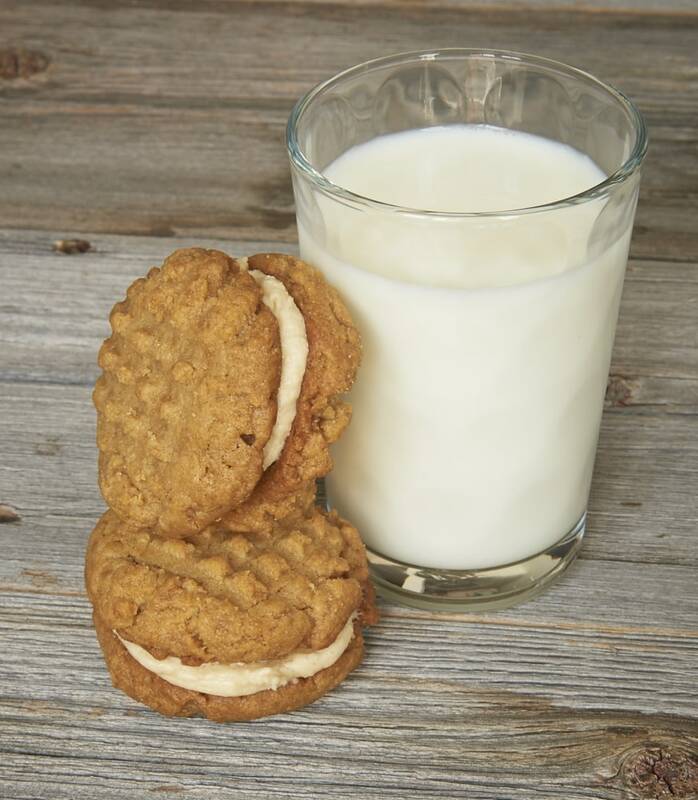 I prefer my peanut butter cookies on the soft side, but just add a couple of minutes to the baking time to get crispier cookies if you prefer. 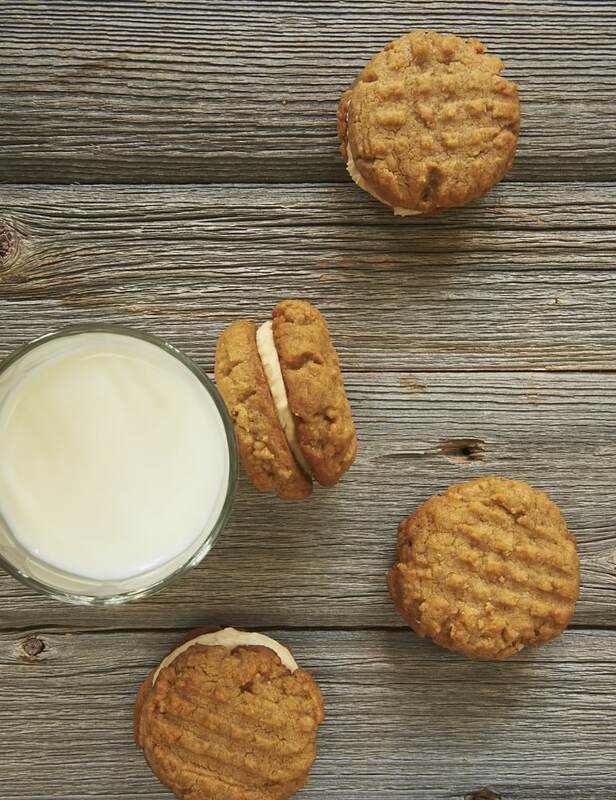 Get a double dose of peanut butter with these Peanut Butter Sandwich Cookies. Using an electric mixer on medium speed, beat the butter, peanut butter, and brown sugar until light and fluffy. Add the egg and vanilla, and mix well. 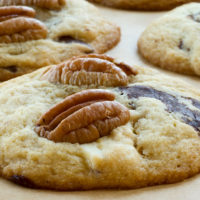 Drop dough by tablespoonfuls onto prepared baking sheets, leaving about 2 inches between cookies. Use a fork to make a crosshatch design on top of each cookie. 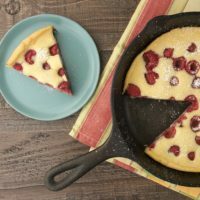 Bake, one pan at a time, 12 to 16 minutes, or until lightly browned. Cool on pans for 5 minutes. Then transfer the cookies to a wire rack to cool completely. Using an electric mixer on medium speed, beat the cream cheese, butter, peanut butter, and vanilla until thoroughly combined. Gradually add the confectioners’ sugar, and mix until smooth. Spread about a tablespoonful of frosting on the bottoms of half of the cookies. 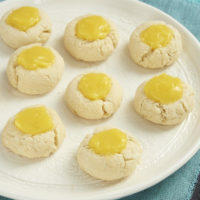 Place another cookie on top of the filling so that the bottoms of the cookies are facing each other. Those remind me of my childhood but better. What a decadent treat. I may have to treat myself with those later. 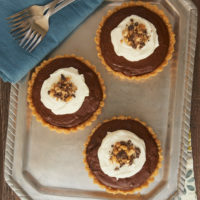 I’m such a pb fan, glad to see this recipe pop up. Heavenly!!! Seriously am making these as soon as I get home. Meanwhile may have to make the cream cheese frosting/ filling and sandwich some of these fancy chocolate wafers together until I get back to my oven! These cookies would gone in a flash here! We love PB cookies! Mmm, peanut butter on peanut butter is my favorite! I could eat the entire batch. Peanut butter cream cheese frosting?! I’m so all about that. Peanut butter is always a win in my book, so thanks for sharing! I absolutely love peanut butter cream cheese frosting. I have no doubt these are incredible. SO much better than nutter butters! 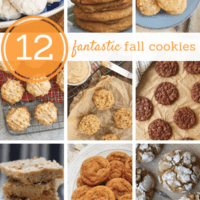 These actually kind of remind me of wichcraft’s pb sandwich cookie (which are totally delish)—they look so soft and full of amazing peanut buttery goodness! These look ridiculously good! Double the peanut butter, double the fun! Peanut butter on peanut butter always sounds good to me!